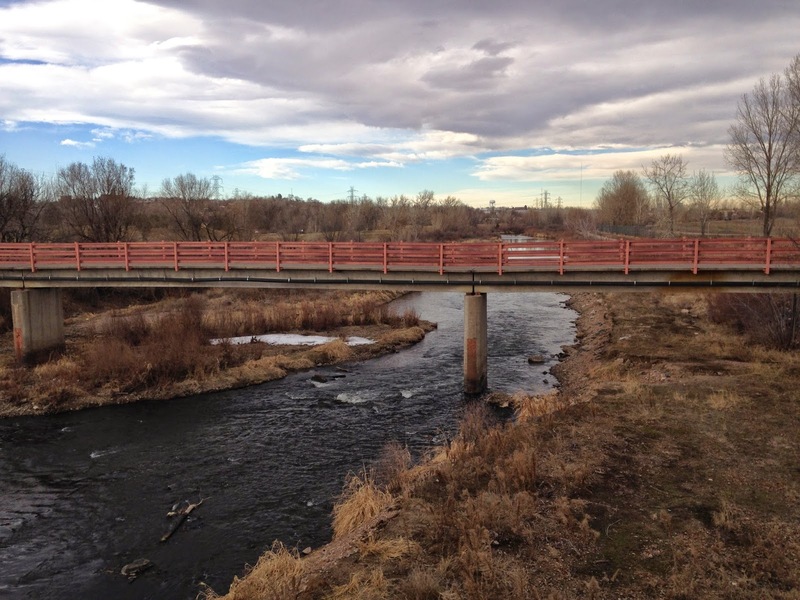 Directions: This hike starts at the bridge over the S. Platte River next to the Regal Cinemas in the River Pointe Shopping Center. 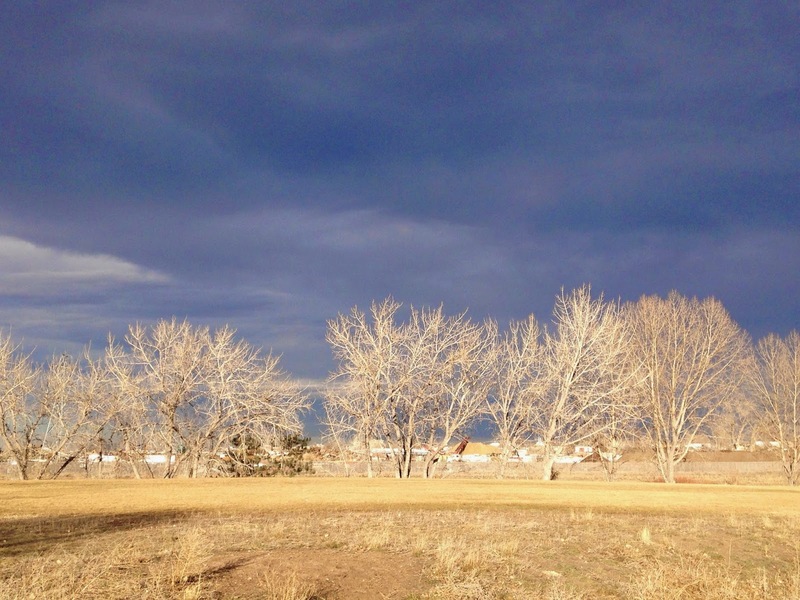 From Denver, take I25 S to Santa Fe Drive (85) south. 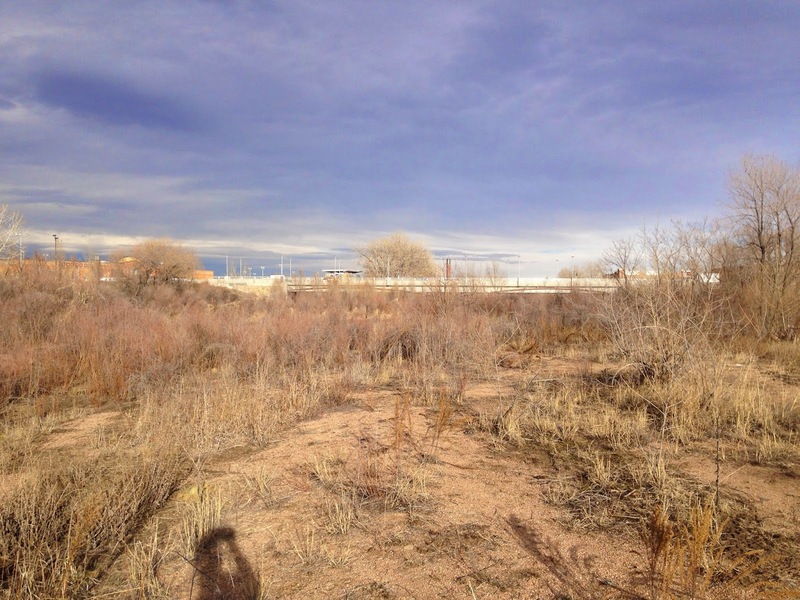 Turn west onto Hampden Ave (285) and left (south) into the River Pointe Shopping Center. 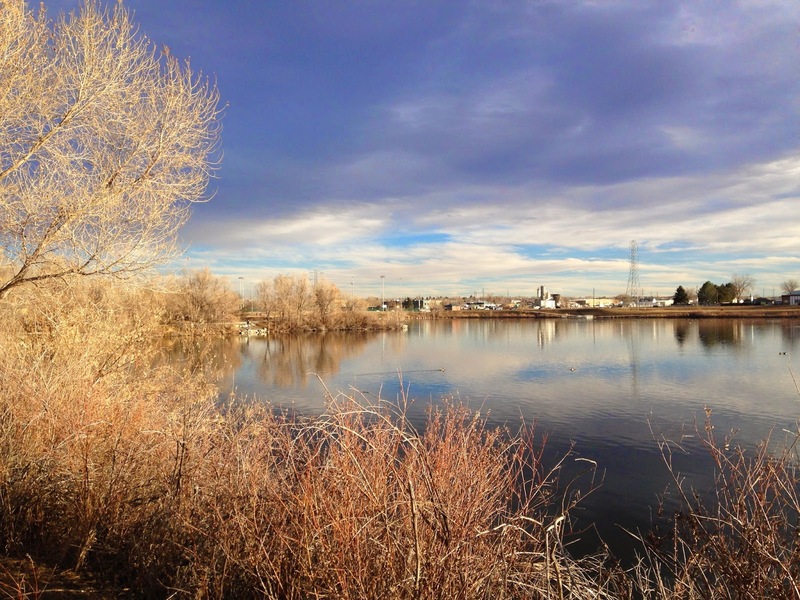 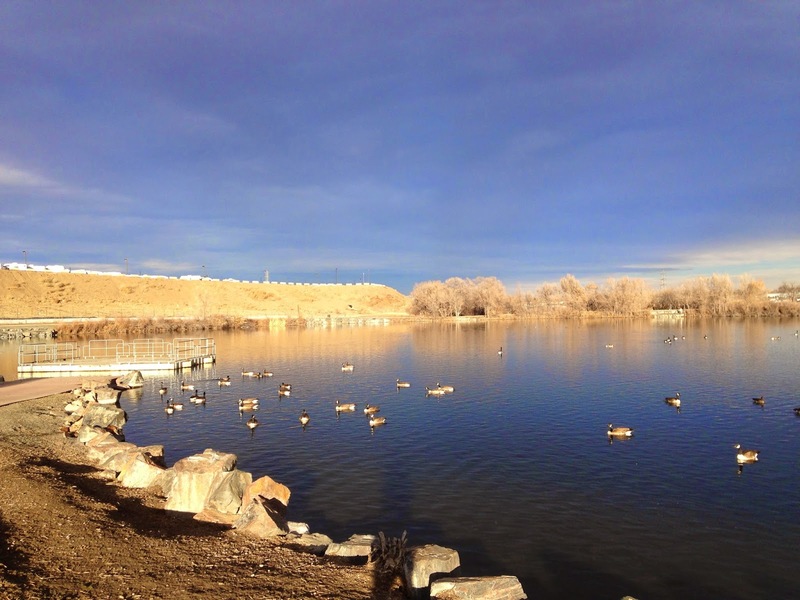 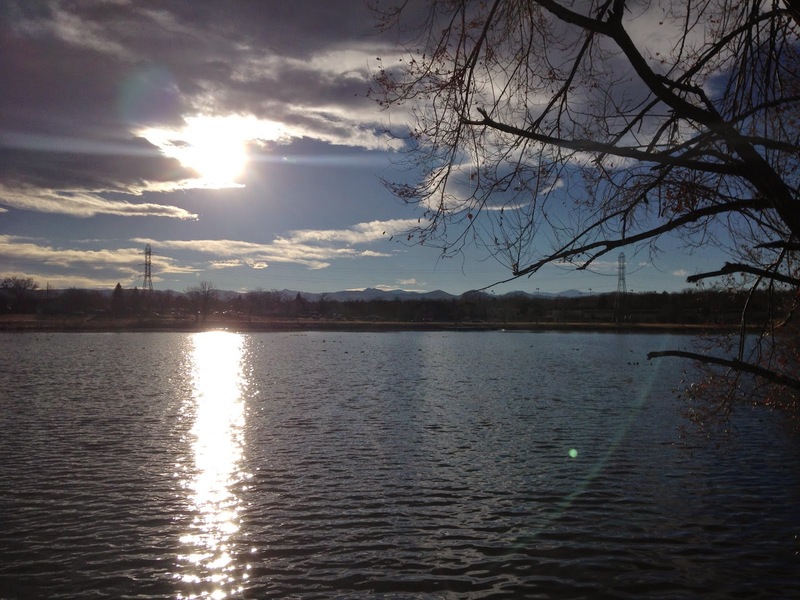 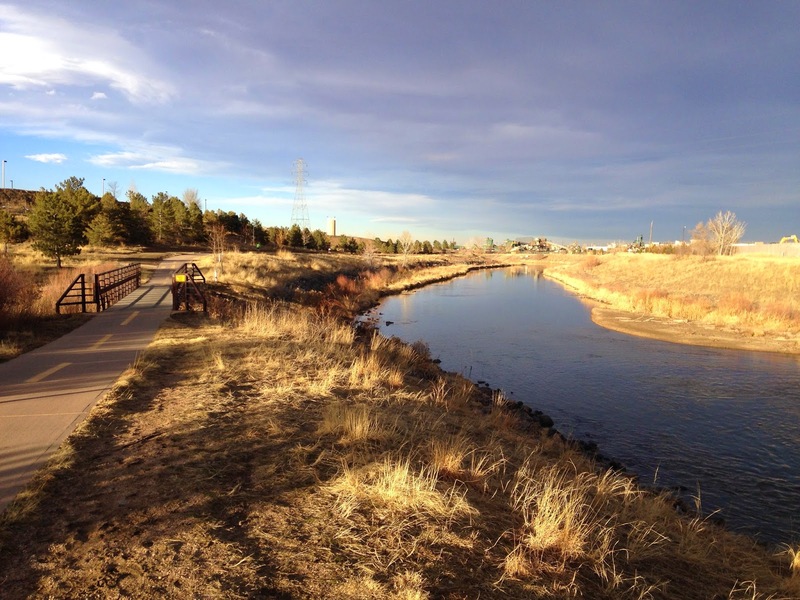 The Denver area has a multitude of fantastic paved biking and walking trails. 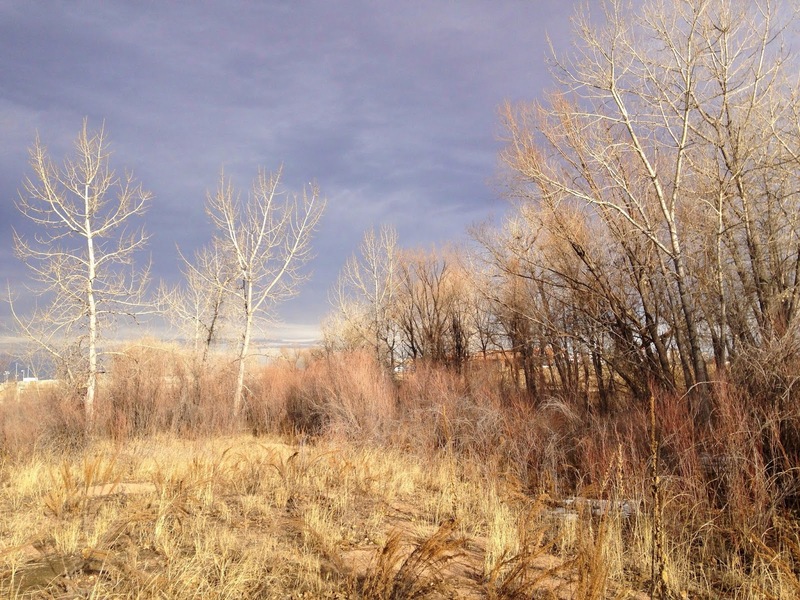 Walking these trails can be a great alternative to hiking when the foothills become muddy, sloppy, and icy in the winter and early spring. 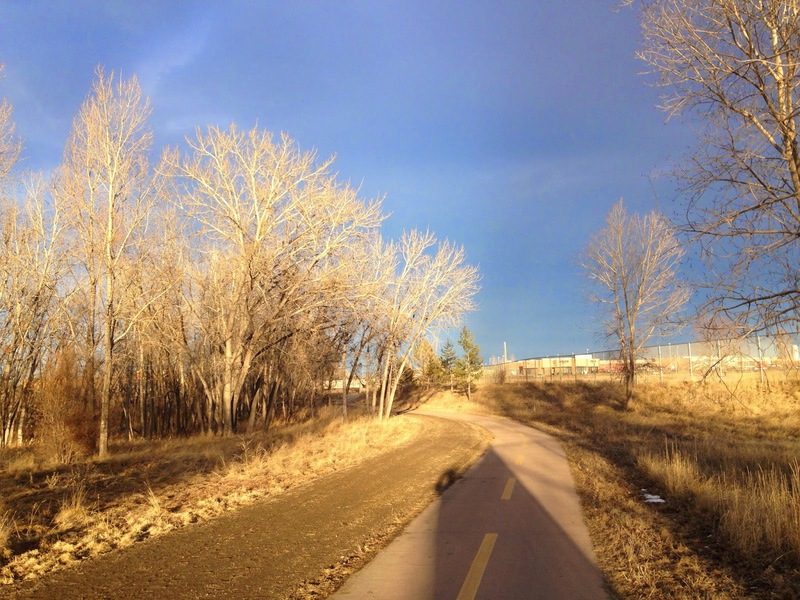 The Mary Carter Greenway is one of the nicest of these trails. 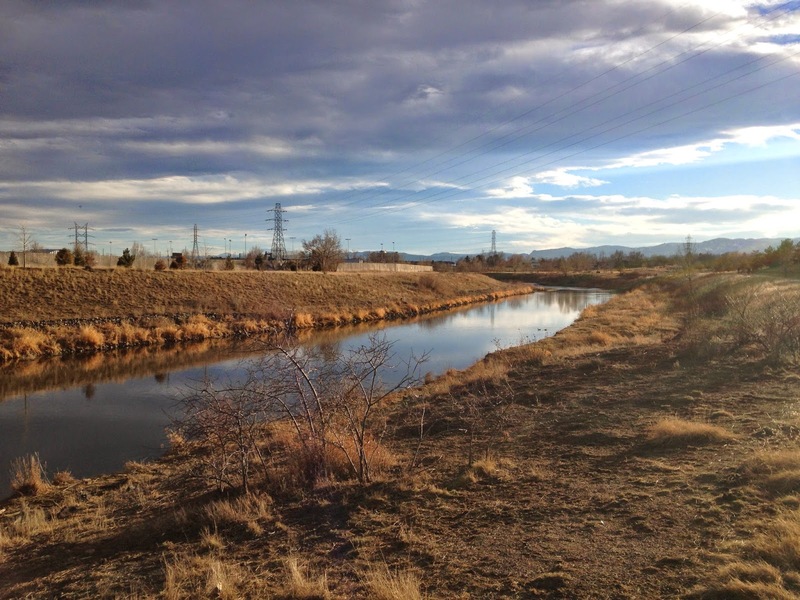 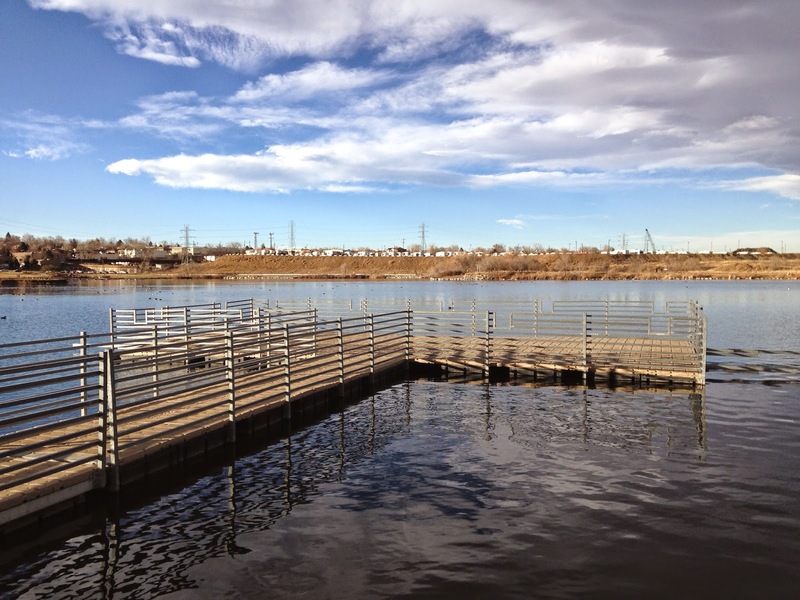 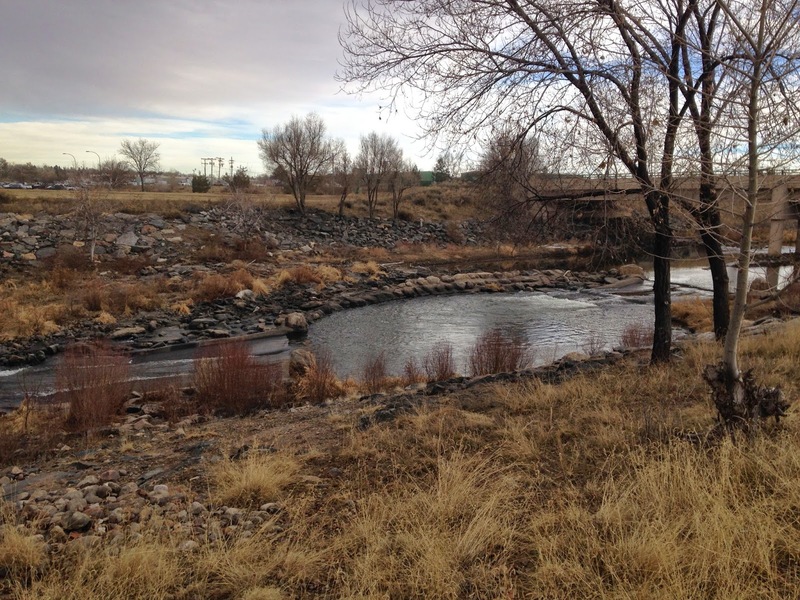 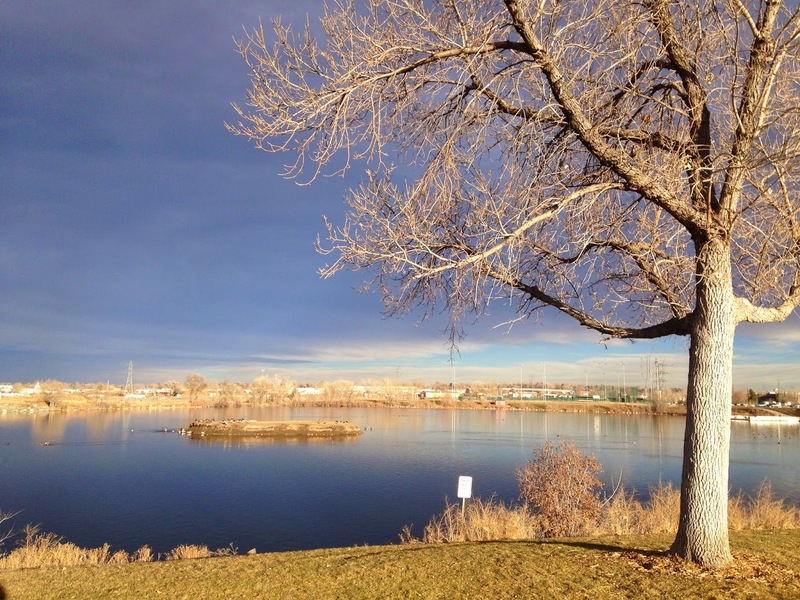 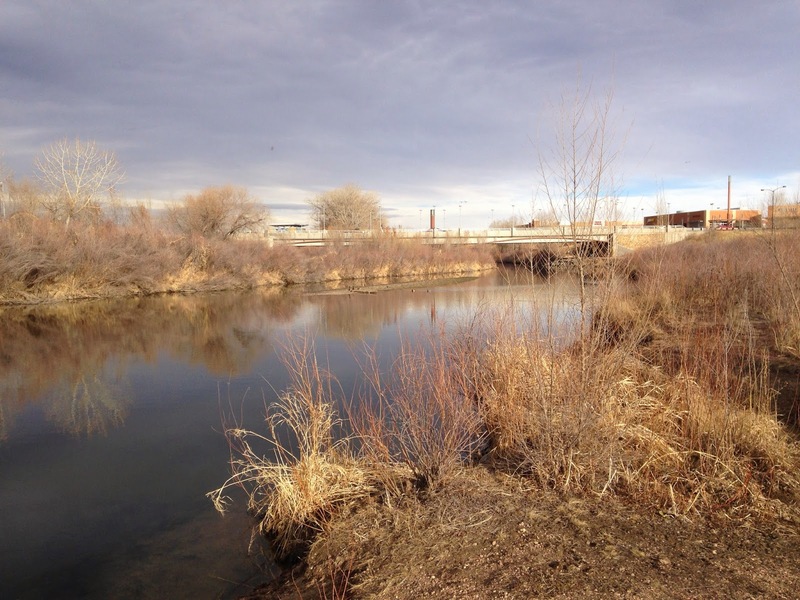 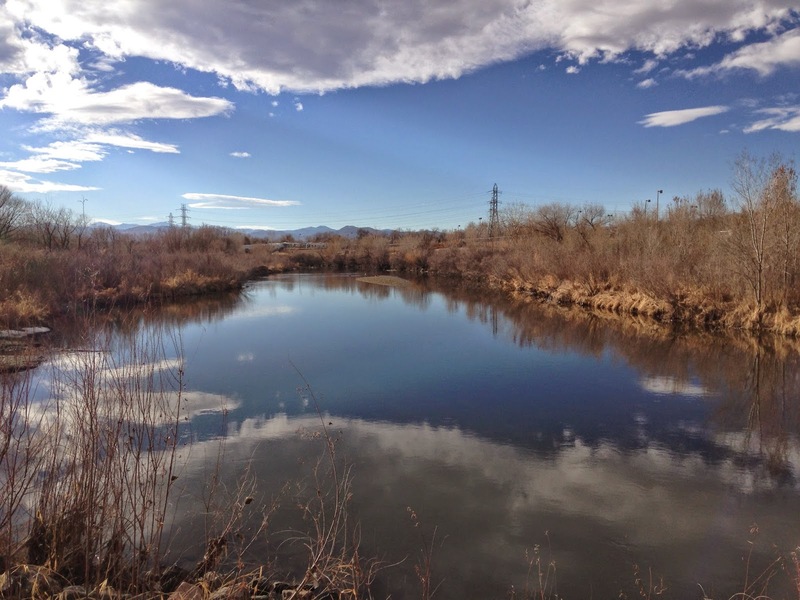 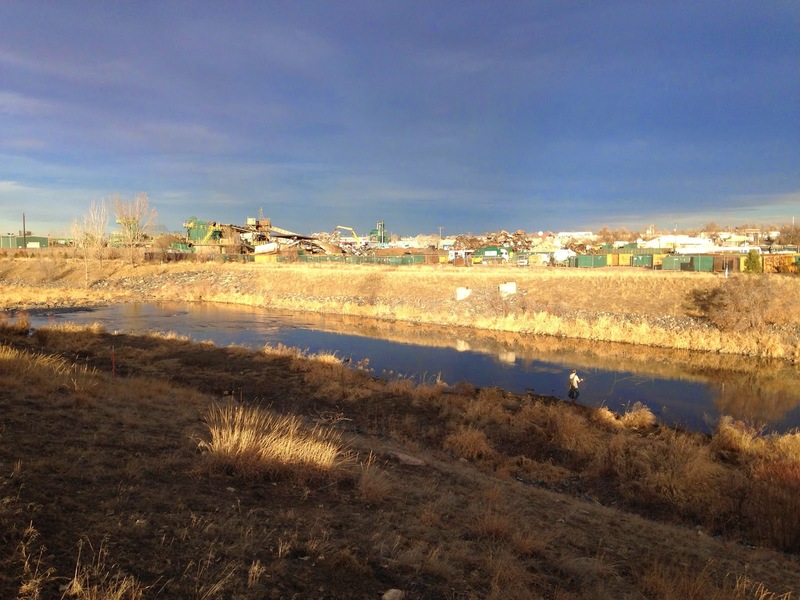 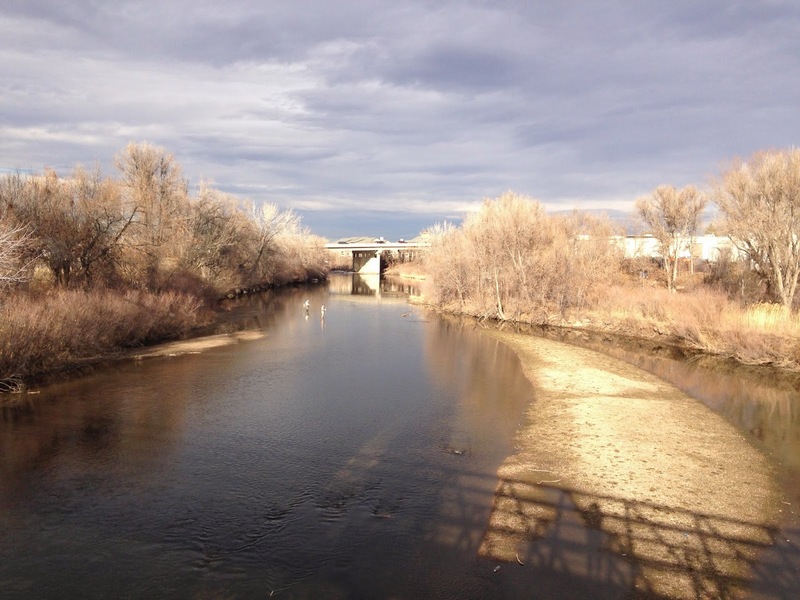 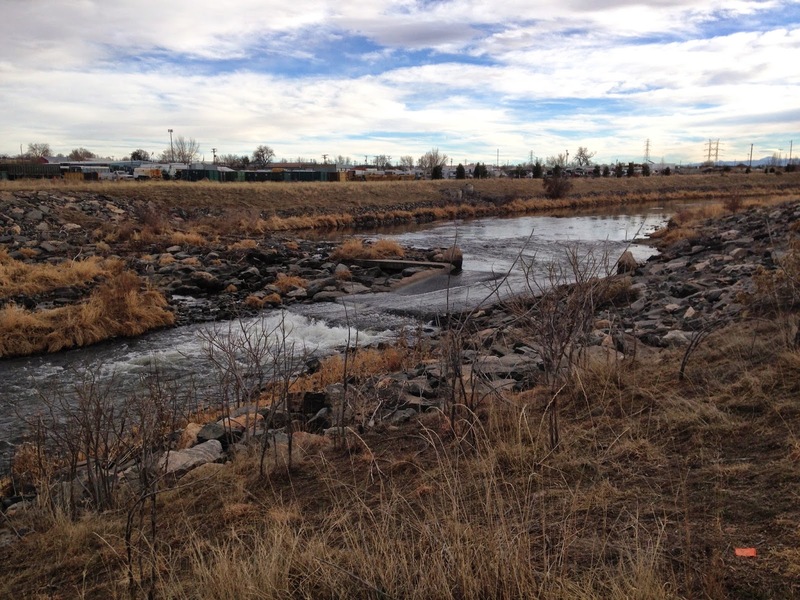 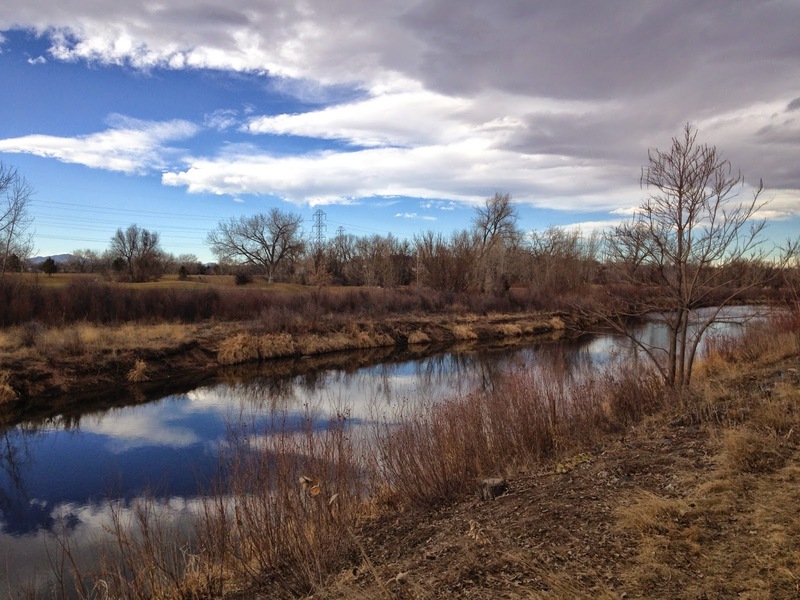 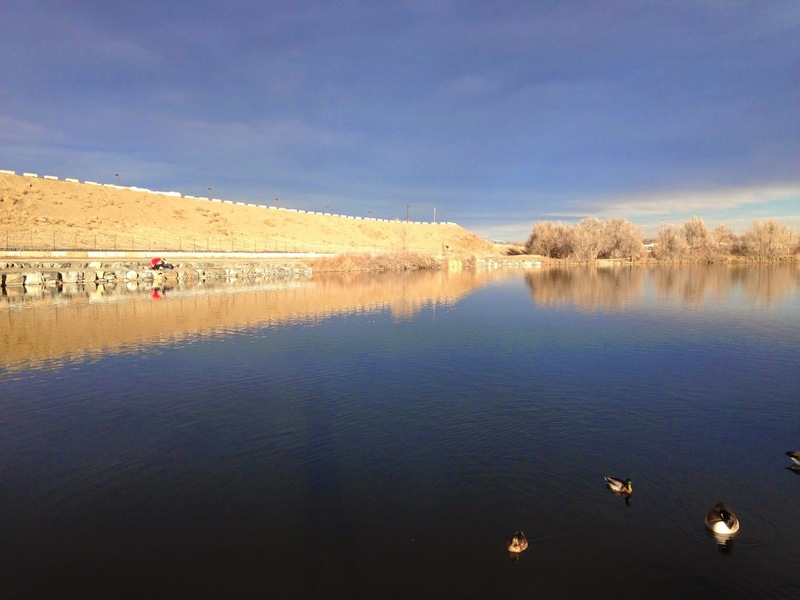 The Mary Carter Greenway runs from Chatfield State Park north to Englewood where it meets the S. Platte River Trail. 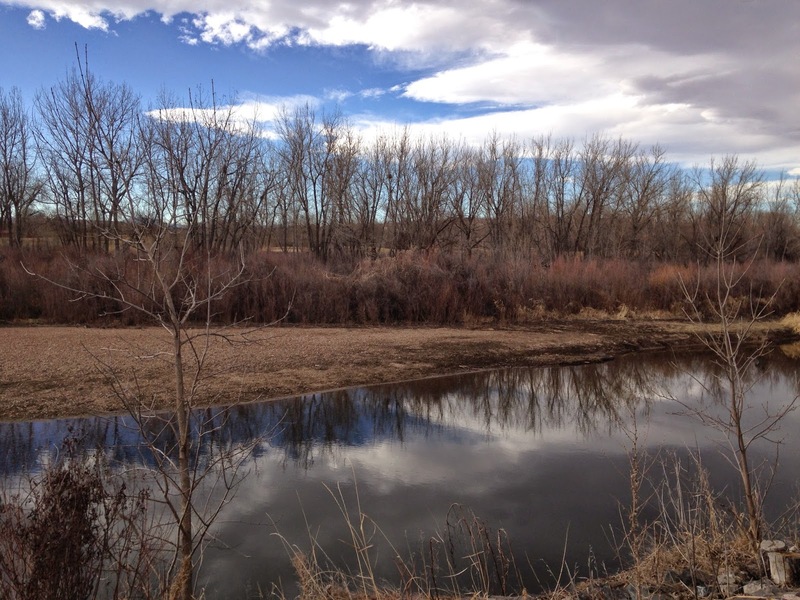 There are various segments of the trail that provide a more natural setting and have options for side-trails through forests and along the river. 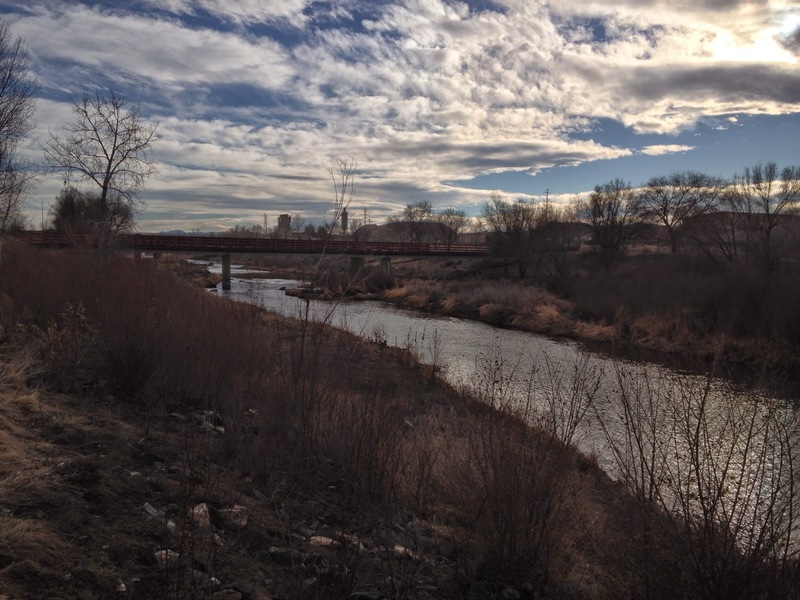 From the River Point Shopping Center you follow the trail to the south in-between the golf course and the S. Platte River. 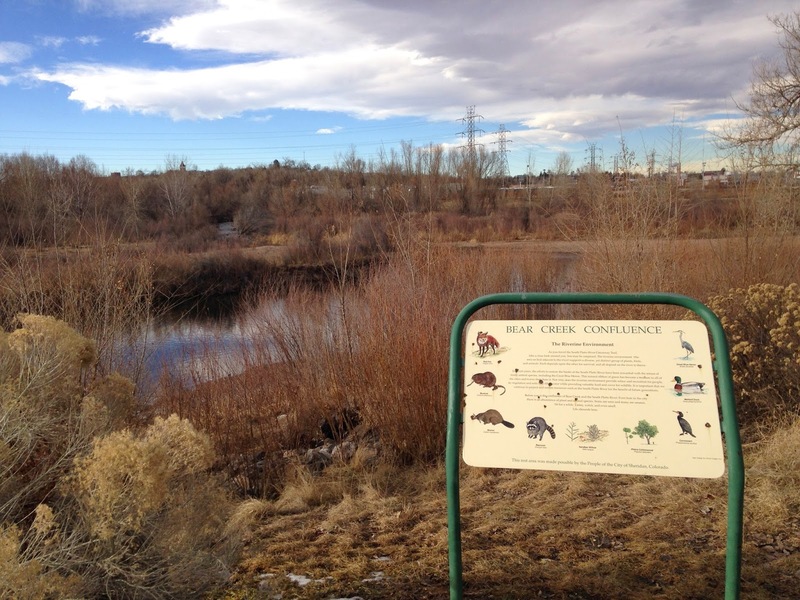 After just a few minutes of walking you can take a small side trail to the right. 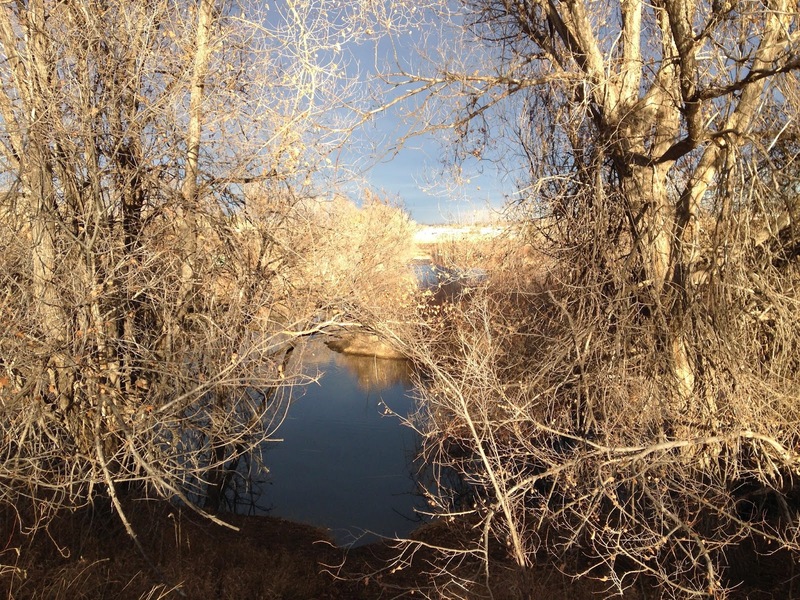 This trail accesses the river and parallels the paved trail for a little ways, offering some actual natural surface hiking. 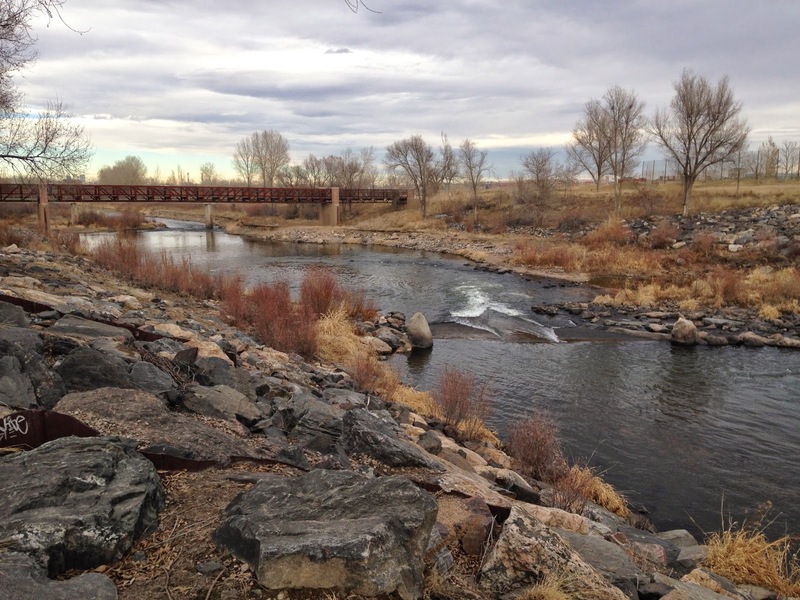 Continue following the S. Platte, past a quarry and industrial zone (just hold your breath and plow through) and at the 1.5 mile mark you’ll be just about at Centennial Park (City of Englewood Parks). 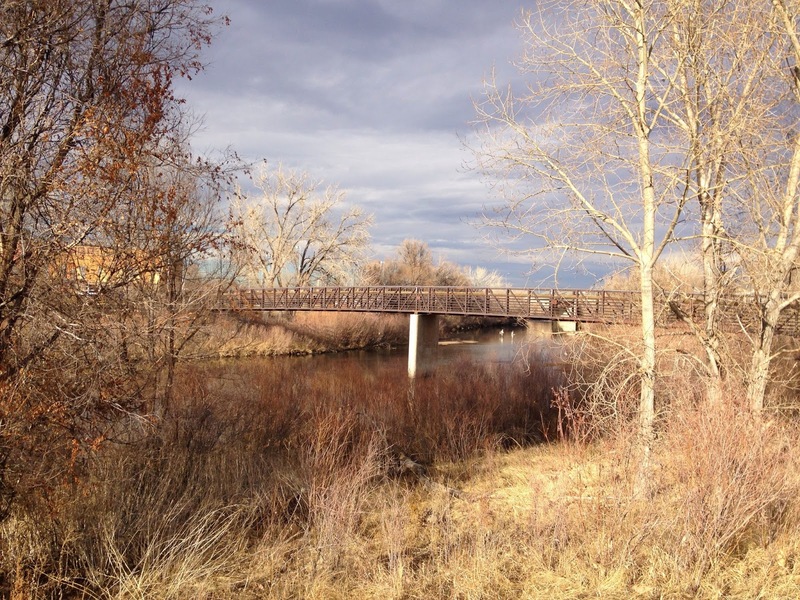 Again there are some side trails here but follow the paved trail across a small footbridge until you see the lake. 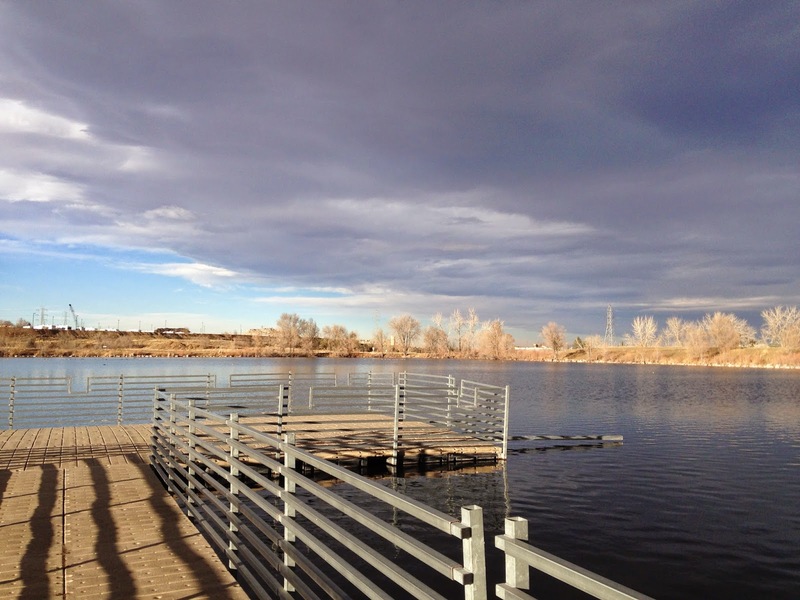 There is a paved trail around the lake for .9 miles with nice viewpoints, fishing piers, and plenty of picnic areas. 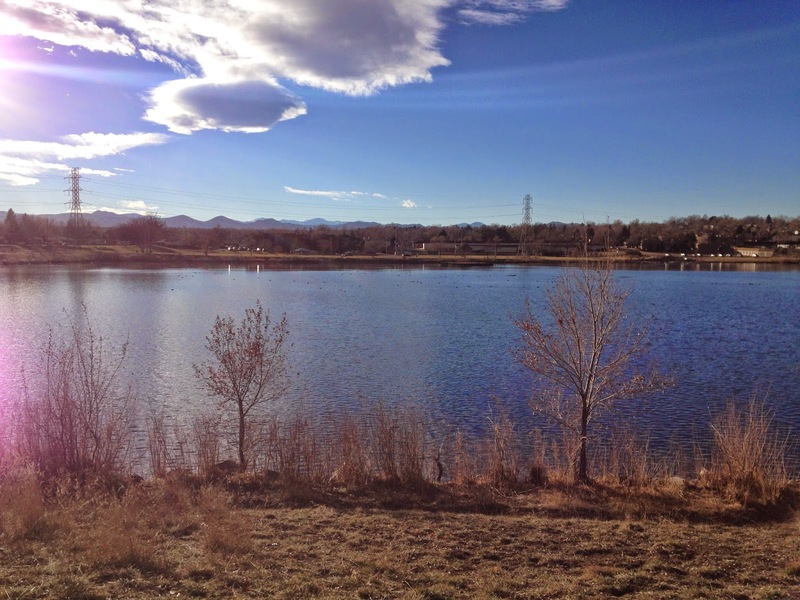 Loop around the lake and return to the trailhead along the same stretch of the Greenway.